Welcome to the KE Design Blog! We are excited to bring you monthly updates on all things giftware, accessories and design. Our blog will share behind the scenes information on what makes our products and business stand out from the crowd, along with invaluable tips and tricks on a broad range of topics including lifestyle, homewares and design. 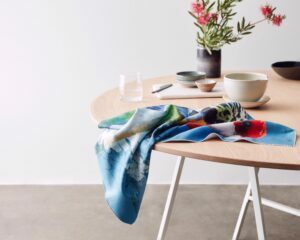 KE Design are Australian manufacturers of high quality microfibre giftware and accessories. We work with local artists and communities to produce unique and creative products that are perfect to gift your friends and family, or to brighten up your home. Join us on our social media networks for all the latest updates from KE Design. Facebook: https://www.facebook.com/kedesignau/ Instagram: https://www.instagram.com/kedesignau/ Pinterest: https://au.pinterest.com/kedesignau/ Stay tuned for more blog posts coming your way.